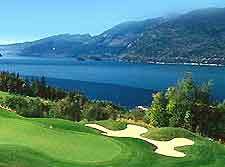 Known for their attractive scenic views and natural settings, golf courses in the Vancouver area of Canada suit all abilities. Popular with both locals and visitors to Vancouver, the city's golf courses are highly regarded and include water hazards, clubhouses with restaurants, golf shops, golfing equipment hire and well-maintained facilities. 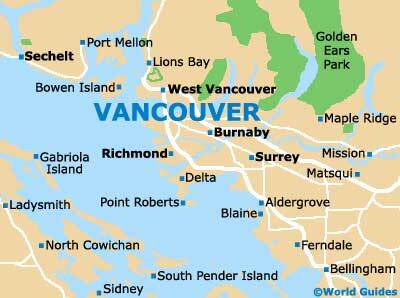 Here are Vancouver's main golf courses. Located on the eastern side of Vancouver, close to the city center, Fraserview Golf Course features an attractive setting, with scenic views and nearby forested areas. With a large lake, a steam and a popular clubhouse serving snacks, Vancouver's Fraserview Golf Course is one of the area's most popular golf courses and is reasonably priced. Situated alongside the Fraser River, close to downtown Vancouver, the McCleery Golf Course has much to offer golfers visiting the city. Highlights include many challenging holes and water features, mature trees and landscaping, a clubhouse and river views. The Morgan Creek Golf Course, in nearby Surrey, is located around 30 minutes from Vancouver and is a major golf course in this part of Canada. Home of British Columbia's Professional Golfers Association, the Morgan Creek Golf Course often attracts golfers of all abilities from the Vancouver area. Vancouver's Northview Golf and Country Club stands in nearby Surrey, just a short trip from the downtown district. Home to 36 holes, comprising two impressive championship courses, the Northview Golf and Country Club often hosts a number of notable Vancouver golf tournaments. Popular with all the family, the Queen Elizabeth Park Pitch and Putt can be found on the western side of Vancouver. Although only a fairly basic golf course, Vancouver's Queen Elizabeth Park Pitch and Putt is extremely inexpensive and often busy. The Stanley Park Pitch and Putt golf course stands in the downtown district of Vancouver, on the western side. Featuring wide fairways lined with mature trees, well-maintained greens and good facilities, Vancouver's Stanley Park golf course is close to a number of other sporting facilities, including tennis courts.